SVG will hold the fifth-annual Sports Graphics Forum on March 6 at the Microsoft Technology Center in New York City. After record attendance and a star-studded program in 2018, SVG will continue to expand the Sports Graphics Forum with a full day of sessions this year addressing the latest technological advances and creative achievements in broadcast graphics. In addition to addressing creative workflows and spotlighting the most intriguing sports-graphics projects from the past year, this year’s program will feature a Data Visualization Workshop focused on player-tracking, augmented reality, and more. Stay tuned for more information regarding registration, sponsorship opportunities, and the full program in the coming weeks. Top creative directors and graphics-production executives take the stage to discuss the most significant design trends shaping the sports-graphics market today. From inserts to animations to the scorebug and everywhere in between, learn how production workflows and design strategies are evolving to create a better graphics experience for fans. Go inside CBS Sports’ monumental effort to refresh its graphics package and create a one-of-kind telecast for Super LIII in February. The Alliance of American Football and Sneaky Big worked with Brainstorm to create a brand-new virtual studio combined with Unreal Engine for its pregame, halftime, and postgame shows. This unique studio allowed the AAF to centralize its studio operations while also offering a sleek, new photorealistic look that reflected its cutting-edge brand. In this companion session to the “State of the Arts” opening panel, technology leaders from major sports-media organizations and vendors address the latest tools and advances in 3D-graphics creation and playout, including the growing role of game engines like Epic’s Unreal system and best practices in building a desktop graphics-creation platform. Other topics will include AR and virtual sets, AI and machine learning, cloud-based workflows, player tracking and data analysis, and more. As augmented reality becomes a mainstay on live-sports broadcasts, producers are looking to elevate these on-screen elements beyond just eye-candy. How can AR graphics help tell the story on the field and better inform the viewer? In advance of the Forum’s dual tracks focusing on AR and Graphic Design, respectively, creative directors take the stage to discuss the challenges associated with building AR graphics packages and the opportunities ahead. After extensive tests, NHL fans got a peek at what the next generation in the hockey-viewing experience could look like during last month’s NHL All-Star Game in San Jose, CA thanks to a new chip-based puck and player tracking system. In association with SMT, the NHL provided NBC Sports, Rogers and the SAP Arena in-venue production team with on-screen visuals based on the puck and player tracking data that were both compelling to the viewer and easy to integrate for the producer. Learn how Fox Sports teamed up with drive studio to create a comprehensive new identity package for the network’s 2018 FIFA World Cup coverage. In addition to on-air graphics, promos, set design, augmented reality designs, and set-monitor and environmental-print graphics, the World Cup project included the launch an on-site studio in Moscow’s Red Square that featured innovative AR graphics to add more dimension to studio features. Get a behind-the-scenes look at how Turner Sports revamped its graphics package and on-air look for the 2019 NBA All-Star Game festivities. Bringing 3D animated characters to life is taking on a much larger role in live sports production, as broadcasters and streaming outlets look to engage fans with more- dynamic on-screen graphics. As game engines enter the broadcast world and gaming- centric elements become more commonplace in sports broadcasts, 3D modeling and rigging, as well as facial and body scanning, are allowing content creators to organically model ultra-life-like virtual players and environments. 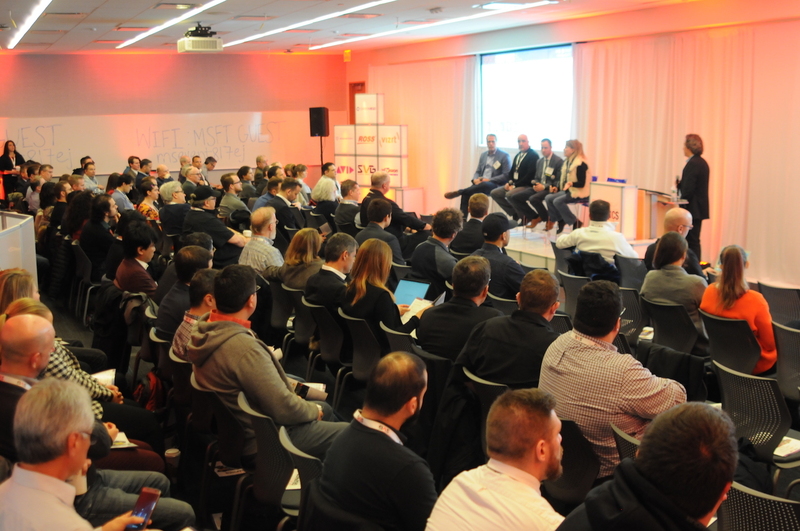 Learn from leading experts on this bleeding-edge technology sector. Harvard recently worked closely with ESPN and with AJT Systems to develop a graphics package for ESPN’s new streaming platform – ESPN+. In addition, Harvard recently collaborated with AJT Systems and NESN (New England Sports Network) on developing a “NESN University” scorebug and insert graphics package to the schools throughout New England in order to create a more consistent look for the RSN’s college-sports telecasts. Learn how both these projects were undertaken and how they exemplify the rapidly changing college-sports graphics scene. A showcase of a blurred-lines creative collaborative process with an inside out approach for the 2018 ESPN College Football Playoff identity – becomes the catalyst which inspired the following year’s rebrand of the regular season College Football on-air package. Graphics packages are not created in a vacuum; rather, the projects are a group effort involving multiple teams — whether you’re creating a package in-house or working with an outside production studio. Although each broadcaster and studio has a unique culture, all parties involved must be on the same page creatively and operationally to ensure excellent results. From pitch fees, creative development, and cooperative workflow to the approvals process, file sharing, and scheduling, learn how networks and third-party studios work together to reach their graphics goals. The Data Visualization Workshop kicks off with an in-depth look at how augmented reality and virtual graphics are being deployed for game coverage in the field. Although augmented reality is nothing new to sports production, dating back to the 1st and Ten line more than 20 years ago, AR has taken a giant leap in recent years and is dramatically changing the way stories are told on the field. Learn how AR is truly adding another dimension to live sports coverage. Augmented reality and virtual studios have allowed sports-content creators to rethink what is possible inside the studio. Whether it is expanding the physical footprint, creating more-flexible multi-use sets, displaying interactive analysis tools, or teleporting on-air talent from the field into the studio, AR is changing the look of the studio show. Leaders from broadcasters and vendors address the latest technologies — most notably, gaming engines — spurring this revolution and how it’s changing studio-production strategies. Never before has the deluge of data available at sports events played such a vital role in creation of on-air graphics. Although player- and ball-tracking technologies have become commonplace, the expected rise of player biometrics and live odds for legalized betting will change the way fans view sports events, and graphics packages must change, too. And, with the overwhelming quantity of data points now available on a sports event, how can artificial intelligence play a role in data analysis and storytelling? Learn how creators are using this onslaught of dynamic data to become better storytellers. Paul Babb is currently the head of worldwide marketing for Maxon and well known as the face of Cinema 4D, globally recognized as a 3D motion graphics, visual effects, and rendering software application. Babb spearheads efforts to bolster Maxon brand recognition and promote the company’s flagship product, Cinema 4D. Responsible for introducing Cinema 4D to the Americas, Babb was selected to form a U.S.-based entity for Maxon to serve North and South America in January 1998. He orchestrated product bundles with Adobe After Effects and Apple Final Cut Pro. He also forged partnerships with the industry’s top production studios and design firms. His strategic planning and expertise is widely credited for Maxon’s unprecedented growth. Today, Cinema 4D is heralded as one of the fastest growing and most widely used 3D products for digital content creation and the 3D motion graphics software tool of choice for production facilities. Babb and his team at Maxon, the Americas are credited with facilitating the emergence of 3D in the motion graphics industry. In 2016, Babb received the Studio Daily 50 award (http://www.studiodaily.com/studio-50/) honoring a cross section of influential creatives and technologists whose leadership exemplifies innovative and creative thinking. Marco Bacich is the technical director, executive producer, and co-founder of drive studio. A 13-time Emmy Award winner, Bacich has been a technical force in the industry since the early 90’s, when he was recognized for his visual effects, supervisory, and digital compositing roles by agencies, directors, and designers alike. His broad technical experience has found him consulting on film shoots, Super Bowl spots, high-profile brand launches, and graphic redesigns. Since the formation of |drive| nearly 20 years ago, Bacich has lead the technical strategy and been executive producer on projects for some of the biggest brands in sports, including Fox Sports, NBC Sports, Showtime Sports, Formula 1, Turner Sports, and CBS Sports – among many others. Marco is a graduate of Pepperdine University with a Bachelor of Arts in television production and a minor in business. 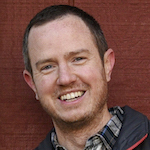 Zach Bell is an award-winning senior CG artist for Turner Studios. He has spent the past 12 years creating dynamic graphics packages, visual effects, concept designs, and real-time graphics for all of the Turner networks. His specialty is in augmented reality. Bell’s work is featured on Eleague, Inside the NBA on TNT, the MLB Postseason on TBS, and throughout the NCAA March Madness/Final Four coverage on TNT, TBS, TruTV, and CBS. Komal Bhukhanwala is an art director with CBS Sports. A two-time Sports Emmy Award winner, she has spent the past 12 years designing show packages and on-air graphics for all CBS Sports properties. As an art director, she oversees the on-air graphic look for the department’s game and studio broadcasts, her most recent project being the redesign of Super Bowl 53. During her time at CBS, Bhukhanwala has expanded the use of AR in The NFL Today studio show, and has most recently art directed the Augmented Game Open and halftime stats, as well as the QB comparison during Super Bowl 53. She has also won a Promax Silver for her art direction of the Final Four Team Runouts. Bhukhanwala is passionate about her chosen field. She believes that sports graphics has a key role in enriching the viewer’s experience and the promotion of the underlying event. 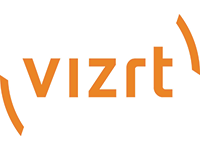 As vice president, head of sports, Kevin Bovet leads the sports unit in the Americas region at Vizrt, a global company that has been at the top of visual storytelling technology for over two decades. Notably, he engages with rights holders to foster business development, while advising the evolution of current value propositions to meet future industry trends. Bovet, a Swiss native, holds a master’s degree in sports management and marketing from the University of Lausanne, Switzerland. Matt Celli is the head of production technology, innovation, and data for the NBC Sports Group. He is responsible for the development, adoption, and integration of advanced and emerging technology that is used across NBC Sports’ portfolio of properties including Sunday Night Football, Nascar, NHL, Notre Dame Football, and Triple Crown shows. Celli handles all internal advanced tech projects and owns the relationship with NBC Sports’ partners. In addition to being the group leader in this space, he is the coordinating director for NBC Sports’ esports initiatives, including the NHL Gaming World Championship and Universal Open Rocket League seasons one and two. During season two of UARL, which aired in August of 2018 from the NBC Sports headquarters, Celli executed a creative scenic, lighting, and camera blocking design that was grown and developed internally. Celli directed the NBC daytime show at the 2018 Winter Olympic Games in PyeongChang, South Korea and the diving venue at the 2016 Olympic Summer Games in Rio, Brazil. An 11-time Sports Emmy Award winner, Celli started with NBC Olympics in 2001. He has a B.A. in communication from the University of Scranton. An 8-year veteran as a 3D motion graphics artist, Craig Chupinsky has been with Fox Sports for the last 6 years. Chupinsky has been an integral part of national show packages such as Super Bowl XLVII and LI, the 2018 Men’s World Cup, NASCAR, NFL, NHL, MLB, NHRA, College Football, BIG3, and the redesign of Fox Sport’s iconic robot, Cleatus. Over the past two years, he has been on the frontline with Fox Sports on their venture into virtual studios, adopting his skillsets of 3D design to set design and real-time, interactive design. Part of a small, dedicated team, Chupinsky has helped launch Fox Sport’s first virtual studio, RaceHUB, ushering in a new era of sports broadcasting. Chupinsky graduated from the Savannah College of Art and Design in 2011 with a B.F.A. in broadcast design and motion graphics. 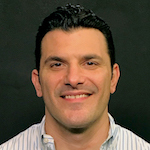 A recent addition to the CBS Sports team, Jason Cohen now serves as the vice president of remote technical operations for CBS Sports and CBS Sports Network. Cohen departed HBO Sports where he served for more than 15 years to work intimately on the remote broadcasts for all of the CBS major sporting platforms such as: the NFL, college football, college basketball, and golf. Cohen’s primary day-to-day focus is on overseeing the remote technical equipment and facilities used for both broadcast and cable linear telecasts. He also researches, implements, and executes new technology and workflows. Charlie Collin is the senior manager of the Production Enhancements team within ESPN Motion Graphics and Production Planning. His responsibilities include product development, implementing new graphics technologies within the live production environment, and providing sustainable solutions that enhance the storytelling experience. In other words, finding ways to leverage the skills and expertise of the many outstanding designers, animators, and engineers at ESPN who are involved with real-time graphics systems. From the early days of virtual studio production in New York to being at ESPN for the past 10 years working on AR, virtual, mixed reality, and interactive graphics projects, Collin is passionate about and grateful to be involved in the ever-changing landscape of opportunities that persist for real-time graphics executions. With a BFA from SCAD in computer animation, he combines a design background with technical expertise from the school of hard knocks. A longtime fan of the SVG Sports Graphics Forum, Collin is looking forward to participating in the conversation once again this year! Brandon Costa covers the sports video production industry with a focus on live streaming, over-the-top (OTT), social media, and other digital distribution technologies and platforms. He also directs SVG’s internal digital strategies launching the company’s video outfit, ‘SVG On Demand,’ designing and overseeing its mobile application, ‘SVG Mobile,’ and serving as executive producer and host of The SVG Podcast. Costa serves as program director of networking events serving the SVG College and SVG Digital communities. Prior to his time at SVG, Costa spent five years producing digital content for MLB Advanced Media. Matt Davidowitz joined STATS in June 2015 to oversee strategy for the company’s portfolio of products and services that help broadcasters around the world leverage data to tell a more engaging story. Over the past four years, Davidowitz has played an integral role in helping STATS provide more value to clients through new research reports, additional data points, and enhanced data/graphics integration packages. His portfolio expanded in November 2018 to cover all of STATS’ products serving the digital media and big tech market segments, including helping power IoT and voice assistant technologies. Prior to joining STATS, Davidowitz served as a graphics producer for seven years with CBS Sports and Turner Sports, covering the NFL, NBA, MLB, and Men’s NCAA Basketball Tournament. He won an Emmy Award in 2014 for his work on Inside the NBA. David Dimeola enjoys the collaboration at the intersection of art and technology. He is usually hired to assemble and manage teams to execute creative content for advertising or entertainment. However, Dimeola has also worked in the capacity of a creative managing director, head of production, senior producer, executive producer, and post-production supervisor. Dimeola is a seasoned post production professional who’s created The Brigade, a studio that champions projects involving visual arts for some of the most prominent brands in the world. He thrives in challenging situations, managing mid-sized, multi-disciplinary teams and partners under pressure, and delivering on deadline. Dimeola is comfortable with the uncomfortable, managing the unknown. With 20 years deep knowledge of the post production pipeline, he is trusted to own projects from concept through delivery. Dimeola embraced cloud computing early on increasing scalability and reducing costs. He enjoys collaborating with artists, critical thinkers, and technicians to design, prototype, and breathe life into memorable stories or experiences. Nick DiNapoli is the creative director and co-founder of drive studio. A 5-time Emmy Award winner, DiNapoli’s early career established a unique emphasis in designing and directing brands for international audiences. He directed network branding campaigns that spanned the globe from Scandanavia to Asia. Since founding |drive| almost 20 years ago, DiNapoli now oversees the design, direction, and on-air branding of some the world’s most watched sporting events for clients including Fox Sports, NBC Sports, Showtime Sports, Formula 1, Turner Sports, and CBS Sports – among many others. His leadership has helped |drive| to become recognized as an international leader in design and animation for sports and network branding. DiNapoli attended design school at Arizona State University and is a graduate of Pepperdine University with a Bachelor of Science in business management. Michael Dolan serves as senior vice president of design for Fox Sports, overseeing all design across all live-event and studio production airing on Fox Sports, FS1, FS2, and the Fox Sports regional networks. A veteran executive with over 15 years of experience in the television industry, Dolan has designed and implemented Fox Sports’ on-air presentation since 2008. He leads the Fox Sports Creative Services Design Team, which is responsible for all facets of the onscreen presentation from concept to execution in traditional animation, live real-time graphics, virtual sets, and set designs. Dolan has worked across Fox Sports’ many properties and marquee events, including the NFL, MLB, NASCAR, USGA, NHL, PBA, PBC, and NBA, as well as the Super Bowl, World Series, Daytona 500, and U.S. Open Championship. He also is responsible for the design of the network’s studio shows, including Fox NFL Sunday, television’s number one NFL pregame show for 24 years. In 2013, Dolan was integral to the launch and branding of FS1 and FS2, creating the design elements implemented in the marketing and production of the new channels. Since 2002, he helped oversee the design and rebrand of the Speed Channel. Dolan graduated from the University of Akron with a Bachelor of Fine and Applied Arts in 1999. Mark Garcia is a three-time Emmy Award winning composite supervisor at Turner Studios where he oversees the execution of on-air campaigns for Turner’s various tent-pole events, including the NBA on TNT (regular season, playoffs, All-Star); The NBA Award Show; MLB on TBS (regular season, postseason); the NCAA Division I Men’s Basketball Championship; and the PGA Championship. 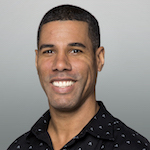 His most recent work includes directing the aerial scenics for Capital One’s The Match: Tiger vs Phil and the 2019 All-Star packaging. Prior to working exclusively with Turner Sports, Garcia was a lead compositor for Aqua Teen Hunger Force and Squidbillies. He also has worked on various commercial spots for the Cartoon Network, TNT, and TBS. Garcia is a graduate of the Savannah College of Art and Design with majors in film and 3D. 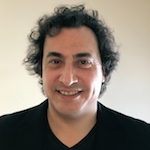 Ben Grafchik joined Sneaky Big in September of 2018 as the director of business development and has been tasked with overseeing the growth of Sneaky Big’s Live Vertical. Grafchik has been fortunate enough to work on such high profile series as CBS Thursday Night Football, CBS Sunday NFL, NBC Sunday Night Football, NBC Horse Racing Triple Crown, the 2016 Rio Olympics, and Super Bowls XLIX and LII. A native of Louisville, KY, Grafchik holds degrees from UNC-Chapel Hill and Georgetown University. Mark Friedman has worked for NBC Sports Washington for the past 10 years, having previously worked for the YES Network. Currently the director of creative services and advanced technology, he leads a team of designers and oversees the on-air graphic look for live event, studio production, and promotion. In addition, Friedman works on special projects for the network that rely on using the latest technology products to engage with viewers. Mark Haden is the National Hockey League’s group VP of broadcast technology. He is responsible for searching and identifying, then configuring, testing and deploying applicable emerging technologies for the NHL. Haden works closely with the NHL’s national and regional broadcast rightsholders on game broadcast production enhancements to improve story-telling tools for the fast-paced and exciting game of hockey. Haden brings more than 40 years of technical expertise to the NHL. Prior to the NHL, he played an integral role in the launch of MLB Network and also has worked for ABC News, served as director of East Coast production at HBO, and held positions with USA Network and Lifetime Television. Imry Halevi joined Harvard University Athletics in 2012 as director of multimedia and production. He was promoted to his current role as assistant director of athletics in 2018. Halevi manages Harvard Athletics’ multimedia team, and leads all department-wide multimedia and production initiatives. He has completely reorganized video board productions and live game broadcasting for the Crimson, bringing these efforts in house, and expanding their scope and reach. With the addition of newly streamed sports, the completion of two central control rooms, and the building of a NCAA-leading fully automated streaming infrastructure for tennis and squash meets, Halevi was able to more than double the online viewership and triple the subscription revenue for Harvard broadcasts within his first year. Over the last few years, Halevi established partnerships between Harvard Athletics and ESPN, NESN (New England Sports Network), and other national and regional networks to broadcast the Crimson’s in-house productions of football, softball, water polo, ice hockey, basketball, lacrosse, baseball, and wrestling events – the first such relationship in the Ivy League. Staffing the productions almost exclusively with students from local area colleges, Halevi and the multimedia team have been able to provide real-world hands-on experience for dozens of students looking to develop their production and broadcasting skills. While producing and streaming 32 of Harvard’s 42 varsity teams, Halevi has worked with his counterparts from the Ivy League office and the other seven league schools to launch and develop the league’s integrated platform for live and on-demand content – the Ivy League Network. In 2018, Halevi helped the Ivy League launch their new partnership with ESPN and establish the “Ivy League on ESPN” network. As an on-going project, Halevi is spearheading Harvard Athletics’ initiative to maintain and digitize its archives of historic video films, dating back to the 1920s. Halevi is a member of the College Sports Summit Advisory Board and chaired the Sports Video Group’s 2016 College Sports Summit. Additionally, Halevi chairs the Ivy League Digital Strategy Committee, the Ivy League Multimedia Directors Group, and co-chairs the Harvard Athletics Multimedia and Technology Advisory Committee. 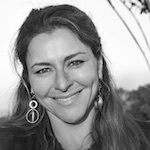 Before joining Harvard in 2012, Halevi served as associate director of video production at Northeastern University. Prior to Northeastern, Halevi served as a video production and graphic design assistant at Boston University’s Agganis Arena. Halevi holds a bachelor’s degree from Boston University and a Masters of Business Administration from Northeastern University. As the founder and CEO of SMT, Gerard J. Hall has worked for the past 30 years to transform the sportscasting industry with technology that has revolutionized the way fans watch sports. After graduating from Harvard, Hall designed a wireless, real-time electronic scoring system for PGA Tour events, replacing the standard walkie-talkie communication previously used to update leaderboards. Afterwards, he founded SMT, embarking on a journey to develop some of the most important broadcast milestones in sports television. From the first live, on-air scorebug and the yellow first-down line to the virtual player- and puck-tracking graphics used in the 2019 NHL All-Star Game, SMT has played a pivotal role in creating data-rich graphics that are both informative for fans and easy for producers to integrate into broadcast workflows. SMT has won 33 Emmy awards for technical achievements and continues to blaze the trail with its OASIS platform, an artificial intelligence engine that is revolutionizing sports leagues by organizing and distributing data in real-time in ways never before imagined. Gil Haslam is the executive creative director at Troika. A two-time Sports Emmy Award winner, he is the creative force behind some of the biggest brands in sports, including ESPN, UFC, PGA TOUR, AT&T SportsNet, CBS Sports, NBC Sports, and HBO Sports, among many others. Haslam is recognized industry-wide for his experience leading major, high-profile brand launches and redesigns from positioning through packaging, as well as innovative broadcast and in-stadium fan experiences. Ben Hayes manages SMT’s top clients, enhancing the productions of the world’s most high-profile sporting events with SMT’s Emmy-winning software applications. His clients include major broadcast networks, organizing bodies, event operators, sponsors, and teams. In his role as director of client services, Hayes leads SMT’s team of account managers and oversees the day-to-day operations of the Client Services Department. Together with SMT’s Engineering Department, he coordinates the development of broadcast solutions that help prominent sports commentators analyze plays and keep sports fan engaged, informed, and entertained. Hayes came to SMT in 2012 after a decade as a broadcast journalist, first as a sports anchor at KTVZ in Central Oregon, then as a sports anchor/producer for WGRZ in Western New York. 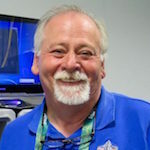 His passion for television, especially live sports, led him to SMT, where his work directly impacts some of the biggest productions on television including the Super Bowl, Sunday Night Football, the NCAA Final Four, the Daytona 500, and the Tour de France. Hayes earned a bachelor’s degree in journalism from UNC-Chapel Hill. 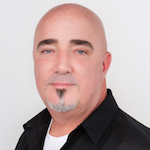 David Hoffman’s career spans over 25 years in real-time VFX visual arts and media production. His experience in product and project management, as well as systems design, augment his extensive efforts in field and studio production. Hoffman brings all of his skills and experience to his current position as business development manger for live production at Blackmagic Design Americas. Jason Joly is the director of broadcast graphics for MSG Networks. He and his team are responsible for the creative direction of MSG Networks’ live event packages for the Knicks, Rangers, Devils, Islanders, Sabres, and Red Bulls. They also oversee the packaging and design for the networks’ on-air promotion, marketing, and social media initiatives, as well as packaging for studio shows and original programming. During his 10-year career with MSG he has led multiple rebrands of their live-event and network identity packages. Joly has won eight Emmy Awards and multiple PromaxBDA awards during his 20 year career in sports television and design. He is a graduate of Syracuse University. Lawrence Jones is an Emmy award-winning creative and technical talent with 25 years of experience creating, developing, and producing augmented reality (AR), VFX, real-time advertising, and motion design. Jones is currently EVP of The Americas / ECD for The Future Group, the leading AR creative tech company leveraged by clients such as The Weather Channel, Turner, Riot, and CBS. He oversees all operations, content, and business development. Most recently, Jones was acting executive creative director for the LIVE AR Title Card Open on CBS’s broadcast of Super Bowl 53. Previously, Jones was at ESPN for 12 years where he was responsible for founding and running the creative technology Ad Division that used AR and real-time VFX for branded content. He was the creative mind and tech lead behind conceiving and developing new revenue generation formats. 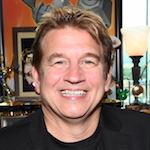 Jones has contributed to the digital, advertising, and broadcast worlds where he has numerous awards including a Disney Imagineering Award, nine Emmy nominations, a BDA, and an NY Film Festival Award. Throughout the years, he has been a moderator for AR and VR panels, as well as a guest speaker for many industry events. Craig Laliberte leads business development for the Unreal Engine Enterprise Team at Epic Games in Cary, NC. Unreal Engine is the high-performance software development suite from Epic Games. It brings real-time, high-fidelity fully interactive experiences to multiple platforms and is used by the world’s leaders in entertainment software, as well as in enterprise sectors such as automotive, architecture, and film & TV. At Epic Games, Laliberte is responsible for licensing Unreal Engine in new market verticals in the enterprise space. As VP of on-air graphics and design, JP LoMonaco oversees all of the design, production, and execution of graphics for the largest sporting events on CBS Sports Broadcast and CBS Sports Network – including the SEC, NFL, Thursday Night Football, Super Bowl 50, the Masters, the PGA Championship, and the March Madness Tournament. With 24 years of motion graphics leadership and graphics production under his belt, the Parsons School of Design graduate has accumulated a skill set that puts him at ease either animating or designing at a workstation or delivering concepts, pitching, and planning his team’s next big project in a board room. An Emmy Award winning art director, LoMonaco has lead creative teams for the likes of UPN, FOX, and CBS over the past two decades. He has also directed and mentored many great designers in that time. As an ever-curious student of the industry, LoMonaco brings passion and excitement to every project, big or small. He always tries to stay on the forefront of what is possible while pushing himself and his team forward. 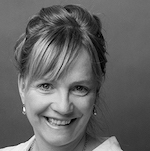 7-time Emmy Award winner and 20-time nominee, Jocelyne Meinert has been pioneering CG animation and design since the industry’s inception in 1982, receiving several national and international awards in the first five years of her career. Meinert started Bigstudios in 1991, completing large scale design and animation projects for clients such as HBO, MTV, CTV, CBC, ESPN, CBS, MLB Network, NHL, NBC, etc. Bigstudios is now one of the most established design and animation studios in North America for 2D or 3D animation, graphic design, brand, VFX, live action, or all the above. Meinert continues to direct and manage large-scale projects, pushing for new esports endeavors, emerging technologies, unique venue-event and team graphics, as well as original content and long form production with sister studio, Little Blackstone. Timothy O’Shaughnessy is the creative director of college sports at ESPN and has crafted the creative behind many ESPN properties. He is primarily responsible for guiding teams of creatives through large-scale animation and insert design projects. His primary interests rest in finding ways to reinvent the traditional permutations of sports television. In his 13 years at ESPN, O’Shaughnessy has garnered numerous Emmy nominations and several Promax BDA awards. Noteworthy projects include college football on ESPN/ABC, college basketball on ESPN, NBA on ESPN/ABC, World Cup 2010 and 2014, Euro 2012 and 2016, Outside the Lines, Olbermann, and Mike & Mike 2016. Upcoming projects include rebranding/repackaging the SEC network and starting up the aesthetic of the ACC network. Before coming to ESPN, O’Shaughnessy worked at Ghostmilk Studios in Toronto, where he designed show title sequences. He received a B.S. in psychology from Binghamton University and an M.F.A. in design from The Rochester Institute of Technology. 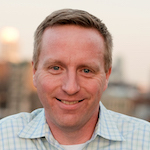 Brian Perkins is the senior director of IT Production Systems for MLB Network. He oversees graphics technology, production system integration, and the continual evolution of statistical systems used to enhance storytelling. In addition to MLB Network, Perkins oversees the IT production systems for NHL Network, whose daily on-air operations haven been based and operated out of the MLB Network headquarters since October of 2015. An eight-time Emmy Award winner, Perkins places particular importance on automating creation of on-screen and on-set graphical elements containing baseball and hockey data. Perkins has been a key member of MLB Network since it debuted on January 1, 2009 in a record-setting 50-million homes, the largest launch in cable history at the time. A true believer in the power of data, Perkins started his career scoring Little League games in New Jersey, later moving on to record stats for the basketball coaching staff at the University of Notre Dame. He graduated from Notre Dame in 1995 and holds a master of science degree in technology management from Stevens Institute of Technology. A lifelong baseball fan, Perkins still owns all of his baseball cards from childhood. Maria Rapetskaya is the founder of Undefined Creative, a media production agency with a focus on motion graphics. She has built the company’s reputation with clients like A+E Networks, NHL, NBC Universal, and the United Nations on good old-fashioned customer service and consistent execution on brand, on time, and on budget. Despite her creative director title, she stubbornly remains a hands-on creative in both design and production, doing what she truly loves on a daily basis. As a serious pay-it-forward give-backer, Rapetskaya is dedicated to volunteering and pro-bono work. As a mentor, she helps other creatives, especially young women, develop careers that accurately express their personalities and goals. She serves on the Graphics Committee for SVG and teaches, writes, and speaks as often as she can. Her articles, interviews, and podcasts have appeared in 99U, HOW Design, Business Rockstars, Fast Company, and many others. DefineYourPath.co is her mentoring platform, with a growing collection of her original content on creative careers and entrepreneurship. A near-native New Yorker, Rapetskaya lives in Brooklyn with her husband and a few plants, but escapes often –with 60+ countries under her belt and counting. Alexis Salinas serves as senior director of technical creative services for Univision, the leading media company serving Hispanic America. Salinas is responsible for developing, producing, and deploying Univision Deportes’ real-time graphics and graphic content. His additional responsibilities include overseeing all graphics functional groups and processes with the ultimate aim of bolstering the Univision Deportes brand on-air, as well as enhancing the production’s ability to tell compelling stories and engage with viewers. Salinas is also charged with creating the bridge between the production, production operations, and engineering teams for the sports graphics pipeline operation. During his tenure at Univision, Salinas has served as manager of graphics management technology, technical manager, VizRT programmer, and senior 3D animator. Prior to joining Univision in 1996, he worked as a CGI director at EDEFX Group, where he was accountable for the operations, graphics systems, and network management and administration for the computer graphics department. He also worked as a 3D animator at Canal Uno Producciones in his native Venezuela. Salinas earned a Bachelor’s degree in computer engineering from Universidad Simón Bolívar in Venezuela. He is also a certified Project Management Professional. Jordan Shorthouse is a three-time Emmy award-winning creative director for Turner Sports where he oversees the sports print marketing department and on-air broadcast graphics departments that support all sports telecasts. He is currently in his 20th year with Turner Sports. While at Turner, Shorthouse has overseen award-winning print and on-air campaigns for Turner’s tent-pole events including NBA on TNT (regular season, playoffs, All-Star), MLB on TBS (regular season, postseason), the NCAA Division I Men’s Basketball Championship, ELEAGUE, UEFA, and the PGA Championship. Some of his work includes on-air graphics packaging, print campaigns, and location takeovers for Turner Sports Roadshow Activations. Most recently, Shorthouse oversaw on-site and broadcast graphics for Capital One’s The Match: Tiger vs Phil, in Las Vegas. This included onsite signage, desk and set design, and animation packaging to tie it all together. Shorthouse was recently named one of CableFax’s Most Influential Minorities in cable. Shorthouse studied graphic design at Georgia State University. 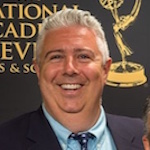 Michael Szykowny (better known as “Spike”) has been at ESPN for 22 years and is an eight-time Emmy Award-winning senior director of motion graphics and production planning. He leads a group of over 160 designers, animators, and Vizrt Artists that create and play out graphics for the family of ESPN networks. He is honored to be part of the SVG Graphics Forum. Danny Tello is a design director in the Fox Sports Creative Services Group in Los Angeles, California. He received his B.F.A in electronic media from New World School of the Arts in Miami, Florida, where he also taught as an adjunct professor. Tello joined Fox Sports in 2009 where he’s been immersed for nearly 10 years, developing real time on-air graphics including Foxbox scoring systems, interactive studio content, and AR set concepts. Most recently, Tello served as design director for the launch of the Fox Sports Virtual Set leading into the 2019 Fox Nascar season. Aaron Thiel has been developing ideas and applications that bring the fan closer to the game with new, innovative production enhancements at ESPN since he joined in 2000. His work developing and deploying augmented graphics systems has earned a George Wensel Technical Achievement Award, an IBC Innovation Award for Content Creation, and his work has resulted in multiple patents. Thiel was the technical lead for the 2018 relaunch of ESPN’s Around the Horn that had two targeted goals: create a vibrant and engaging virtual environment while expanding host Tony Reali’s ability to control the real-time graphic features designed to enhance the editorial approach of the show. Jesse Vogel joined Turner Studios in 1998 as a tape operator and has been doing composite work since 2005 with a focus on Turner Sports since 2008. His skill set ranges from on-site composite work during the sports live events to shoot VFX supervision and working in the Design/VFX group as a compositor at Turner Studios in Atlanta. As supervising compositor, Vogel is responsible for aspects of sports design wrap-around packaging from conception to delivery of elements. Per von Rosen started out in broadcast in 2006 as a graphics operator for then Swedish broadcaster Canal+, now Cmore. After multiple years in trucks around the world, in addition to hundreds of events and numerous production tools later as an employee of NEP Productions, von Rosen moved to Chyronhego to make player tracking relevant to broadcasters both as a production-tool, but also as a storytelling element. After successfully partnering with Major League Baseball Advanced Media to get Statcast on-air for Fox, Turner, and MLB Network, von Rosen moved to Sportradar in 2017. At Sportradar, von Rosen works with Sportradar’s broadcast products such as multi-sport data packages for graphics and Radar360 (Sportradar’s multi-sport research tool). He also works with Sportradar’s research team that currently supports 5,000+ live broadcast per year with both in-game research support and pre-game research packages. Before joining HBO in 2015, Christian Winters spent 10 years as a top producer and editor focused on creative work in network sports. As the creative director for HBO Sports, his duties included overseeing the design for on-air graphics, show titles, and packaging for HBO Boxing, Hard Knocks, Being Serena, Andre The Giant, Momentum Generation, and more. Currently Winters serves as creative director for the Houston Media Group, a new expansion of post-production mainstay Molehouse, directing projects for CBS, EA, NBC, and Uninterrupted. Ryan Zander serves as vice president of broadcast products and services at Major League Baseball. He creates and manages the direction, strategy, and operations of MLB’s Statcast and Pitchcast broadcast product line seen on every MLB National and Regional rightsholder. Prior to his tenure at MLB, Zander held an executive level position at Sportvision where he was instrumental in bringing iconic products to market that have been utilized in thousands of broadcasts every year. He also played a significant role in the adoption of object tracking data by professional sports teams and leagues which has become a staple of baseball scouting, analysis, and player development.